Below is a list of frequently asked questions related to becoming an officer candidate with our Volunteer Services Division. NOTE: All applications are processed in the order they are received. There may be an extended waiting period due to the number of applications received by our staff. What POST training is required before submitting an application? Satisfactorily complete a POST certified police academy in either modular levels or Intensive format. To learn more about POST, please click here. Do I have to be a US citizen before applying? Yes. State law requires all uniformed members to be US citizens. 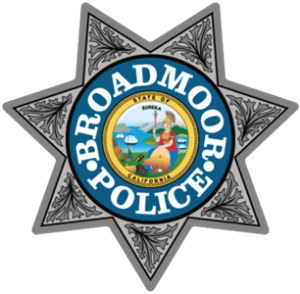 How often does Broadmoor hire? We’re actively seeking Volunteer Services candidates throughout each year. Candidates must successfully pass an Oral Board, Background Investigation, Psychological Examination, Medical Examination and a final interview with the Chief of Police and the Commander of Volunteer Services. Applications are to be downloaded from our website and submitted online only. For more information about the Volunteer Services Division, please click here. Is is possible to go on a ride along before applying? Yes. 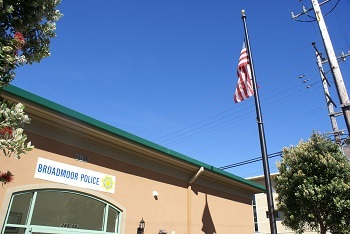 Candidates are encouraged to do a ride along before and during the application process. To schedule a ride along please view our contact page and select “ride along program” from the drop down menu. The request is forwarded to the on duty watch commander who can assign a date and time to come in. NOTE: You must include your name, phone number and email address when submitting this request online.